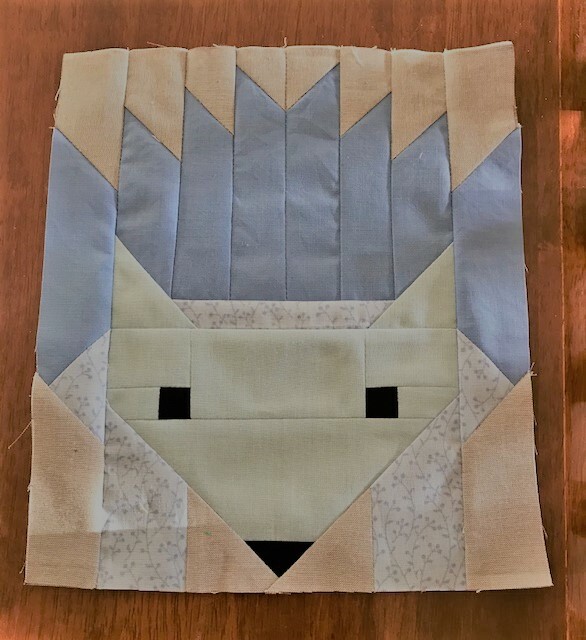 and making this cute "Hedgehog" as a leader and enders project with the blocks. It's been such a long time since I worked on " Fancy Forest" by Elizabeth Hartman. 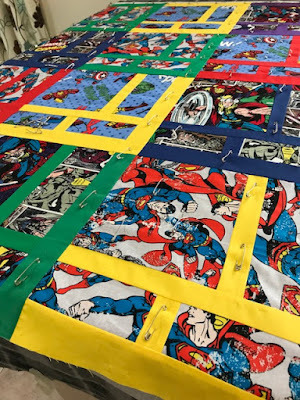 and I also had a few Super Hero blocks started and it was still early sew I made some more to complete enough for a flimsy. Now it's time to organise something for dinner . Will pop over to visit others HERE over the week. YOu've been very busy. Making headway on all fronts it seems. I need to ask, what are shields? Also wanted to ask a blogging question. I really dislike the font that is the default font for my blog. Each time I write a post I change it using the drop down box available. But, it always goes back to the default. Way back in my memory banks when using other templates for the blog besides those you can quickly choice from the dashboard, I remember a way to change the font permanently from what the default is set. But, I'm not remembering how, and after clicking on everything that seems to be available to me...haven't found it. I see and love your alternative font here on your blog and thought perhaps you knew. What a great time with your sewing. Sew much has been done. Good work. Your small blocks are all looking so nice and I love the hedgehog. The shields are so bright and colorful. Both those and the Super Hero’s will go to such good causes. Great start to the weekend with all that sewing done! You always have such a great range of interesting projects on the go. 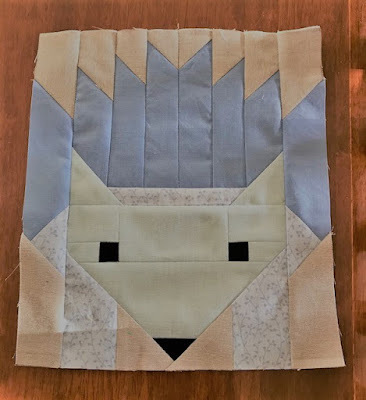 Like you, I'm a great fan of leader and ender sewing to get other blocks done. 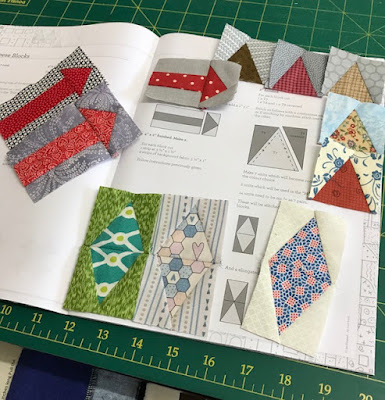 What a great mix of projects - so much sewing for others too - its great to see! A very productive evening. Go you! So many lovely projects to keep you busy. Love the hedgehog block. You have been very busy. The hedgehog block is adorable and a great leader / ender project. Super projects for many good causes! Your activity makes me want to sit by the sewing machine regularly to finally get something finished. Goodness Maria, your Small World blocks are small! Great work there. And Fancy Forest hedgehog is a sweetie. 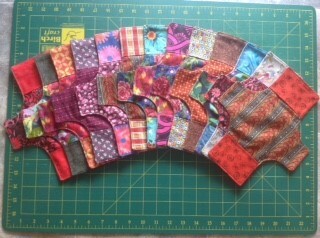 It looks like you got a good solid couple of days in - great sewing!! I love your hedgehog and it looks like good progress on the Small World. Well done with your charity sewing - the quilt and the shields will be well appreciated, I'm sure. Lots of wonderful things happening in your sewing space Maria. 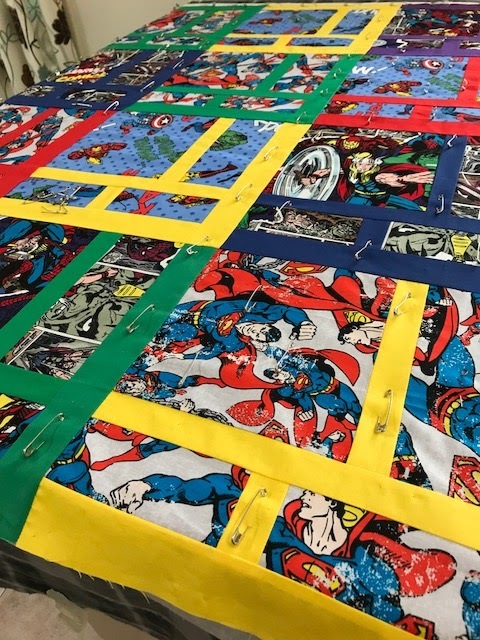 Love the hedgehog, it looks amazing, the super hero quilt looks fantastic too. Great Days for Girls sewing.